Here are the companies I love, whom have agreed to partner with me. I will only link you to things that I love, or have given an honest review about, so that you may take a look for yourself. I earn a small commission, at no extra cost to you, to help with blog expenses when you make a purchase through a partner affiliated link. Click each image to shop the respective site! No coupon codes, currently. Sign up for their Medallion Rewards for 10% discount & be eligible for free shipping! Our mission is to provide the ultimate barefoot experience without compromising style and fashion. Use 'EmRunFree' for 15% off. 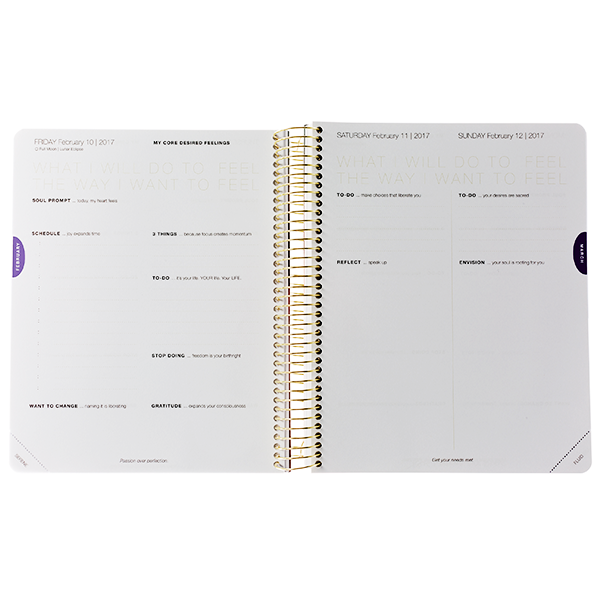 Spiritual inspirational products, such as the planner shown here. Every piece of clothing is uniquely silk-screened right here in Hawaii with water based eco-friendly paints! Use 'EM10' for 10% off. No coupon codes, at this time.